Reflections and Ruminations: How does Jesus save the world? How does Jesus save the world? This is really the million-dollar question that needs to be asked of Christianity, though of course, because it is the question of all questions, the answer will never be short and pithy, and has a depth that cannot really be fully and exhaustively plumbed. The impact of Jesus’ saving and redeeming action on not just the world, but of existence itself, spans time in the past, the present and the future. And because it is so expansive, the essence of salvation that tries to answer this question can only be appreciated in its beauty and depth the way one appreciates the dazzling and captivating beauty of a brilliant cut diamond – one flawless and shiny facet at a time as it is twirled in the sunlight, catching and refracting the rays of light that strike each of its many polished surfaces. One of its brilliant rays reveal how necessary it is that a perfect human being who is sinless carries so well the bitterness, acrimony and betrayal that sinful and mean spirited men and women throw at one who only wants to love without condition in return. 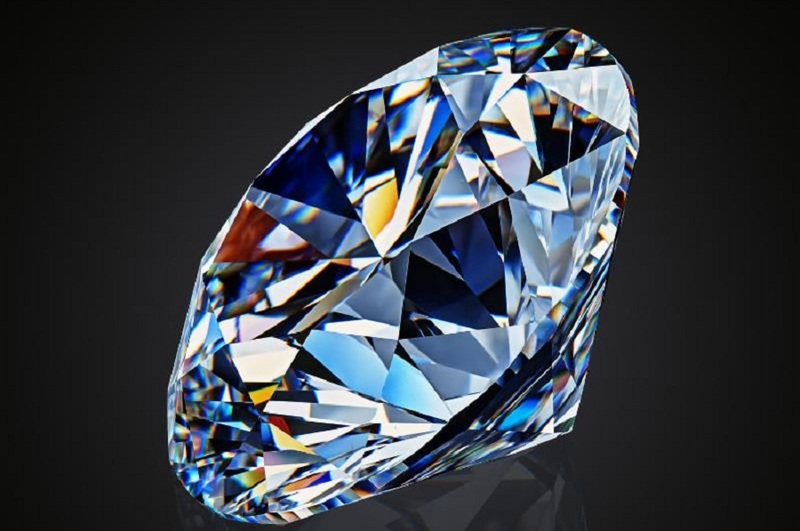 Another facet of this salvation diamond shows the value of not returning hatred and selfishness in kind, and instead, makes the effort and decision to return instead forgiveness and mercy, and is ready to excuse when accused. Another facet from this beauteous gem of salvation displays the splendor that a heart full of love can emit – a heart that wills to love despite not getting anything back in return. The soaring divorce rates these days is often an indication that marriages suffer mainly because one party believes that one is getting back less than what one has given out. Jesus saves humanity by showing how necessary it is that we learn to love for the sake of the other, with no expected return. Another facet is the willingness to ensure that no corners are cut and no compromises made in life. That Jesus went to his ignominious death on Calvary to the very end without calling on his heavenly Father to end it before it ends reveals the value of fidelity and commitment in all areas in life, and the willingness to experience longsuffering. As much as he was God, he could have ended it early and called down a good old-fashioned smiting on his adversaries to show who’s boss, but that would not have saved the world. It would only have been giving violence in return for violence – a transaction that the world has been so accustomed to. Another facet is Jesus’ ability to hold it all in balance when everyone and everything is throwing it all off balance. We experience this when from our standpoint, life appears so unfair, when those who are corrupt and dishonest appear to be winning and advancing in life, and those who are honest and just are not only lagging behind but unjustly criticized and condemned. Jesus saw this right before his eyes, yet was unflinching in his steely resolve to keep his balance even when the world was getting dark as the sun eclipsed on Good Friday. That a man in history lived with such a sense of self-sacrifice, drive, tenacity and determination for virtue would be in itself amazing and wondrous to behold, worthy to be recorded in the annals of history for the benefit of humanity’s posterity. But no matter how virtuous that man may be, he would still remain just a mere individual and a good-hearted human being’s goodness has no saving effect on humanity, let alone on a level that spans the time dimension of past, present and future - unless this person’s very life was more than human, and in whose very essence of his being lies the origin of existence and life itself, can he have such an impact that is so tremendous. Only God’s life can affect creation in such a dynamic way. And that is why only in and through Jesus’ life, death and resurrection can humanity have the hope to be saved, making Jesus the only savior of the world. Like so many things in life, when we don’t take time to look anew and afresh at things that we think we are familiar with, we can begin to be weaned off their magic and their allure. If we let that happen with the truth of our salvation in Christ, its effects will be seen by how quickly we give in to despair and think that we have been abandoned by God when the world around us start falling off its hinges. Perhaps an indication that we may be taking this tremendous gift of salvation somewhat lightly is when we reduce the Crucifix into an ornament or an item of jewelry making a mere fashion statement than a testimony of our faith, which it should be. These could be signs that we are starting to take our faith and our salvation for granted. One of contemplation’s fruit is the ability to appreciate old and familiar things in a new and fresh way. Oftentimes, re-exciting our taste buds with things that we have always been eating for a long time may be the best thing that can happen to us, because for most of us, we don’t have the luxury to always be feasting on foods that are new, exotic and untasted. If this has happened to the beauty and richness of our salvation in Christ, it’s a good sign that we need to bring the mystery of our salvation to contemplation, and behold something familiar with a new unfamiliarity. In my earlier pilgrimages to Lourdes I remember being a bit scandalized when visiting the religious stores along the roads leading to the shrine, I came upon trinkets like ear-rings & wrist bands etc with tiny /colorful crucifixes dangling from them. The more ignominious part was that pilgrims were snapping them up and decorating themselves with these as the pagans would -their charm bracelets & chains! And some do seem to believe them as such! So it is not only the world at large that is using the cross and crucifix to make fashion statements. It’s a strange thing to feel hurt. Is our faith only to display & flaunt to the world that we are the “new chosen”? Salvation seems cheap at this price. Whatever happened to the beauty of Psalm 85 :10 that foretells :- ………where mercy and truth meet together and righteousness and peace have kissed each other ………....in the person of Christ Jesus, the reconciling Word and thus on the old rugged Cross - Love poured out its life on Calvary. Sometimes we lament our own blindness that perpetuate this folly. Thanks Fr. for the timely reminder to contemplate, to behold and be enchanted once again at something familiar with a new unfamiliarity.